Join Women in Tourism to get a great range of benefits from a growing industry network. Whatever stage you’re at, being part of a strong network which can offer the right support, mentoring, and more, can make a significant difference to your professional development. 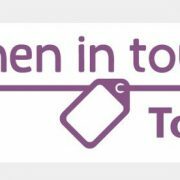 A growing industry network, Women in Tourism seeks to listen to its members, offer support and more. We’ve put together 10 great reasons to join Women in Tourism. Read on to find out more about WIT and how to get involved. Be part of a growing professional community of women in the tourism and hospitality industry who are getting together to support and inspire, motivate, and encourage women across the sector; and advocating for greater gender balance across leadership roles within industry. Tap into a powerful network of industry professionals and make new industry connections. Get access to a 60-minute mentoring session as part of your membership. Take part in a skills swap with another member: WIT will facilitate this for you as part of your membership. Get the opportunity to contribute to WIT working groups on Membership, Events and Communications. 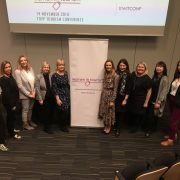 Enjoy a range of discounted (and free) networking events throughout the year, from regular and informal WIT Wednesdays, such as breakfast get-togethers, coffee, and evening drinks; to more formal industry events taking place across Scotland, with relevant industry speakers on industry topics that matter to you. Events are discounted for students too. Get access to a dedicated smartphone app with a members-only area. Exchange ideas and insights, learn from your peers, give something back to your sector. Whatever stage you are at in your career, you have something valuable to offer WIT and lots to gain from membership. Get added benefit membership benefits from other organisations in the network – more on this coming soon. 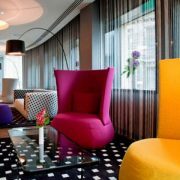 Keep up to date on what’s happening in the tourism industry via regular e-news, events and more. 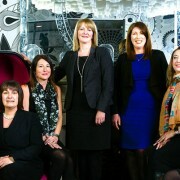 Like the sound of Women in Tourism? Join here. Annual membership currently costs only £40 per year*, giving you access to great benefits and a growing professional network open to members’ thoughts and ideas. *Membership rates are subject to change and review – please check our website our consult the team for details.